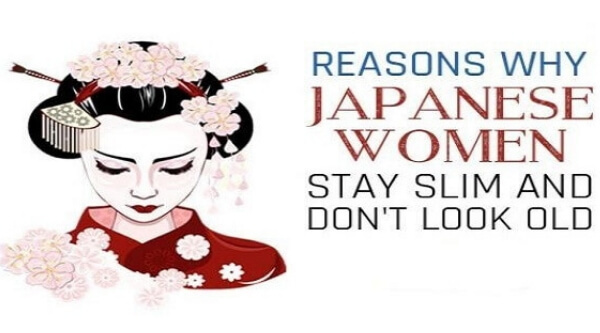 10 Reasons Japanese Women Stay Slim and Don’t Look Old - ShareIt! Japan is undoubtedly one of the most beautiful countries worldwide, due to its blue sea, lively mountains, and vibrant culture. Another thing that makes Japan so special is its cuisine, which is definitely worth trying. Interestingly, studies show that Japanese cuisine and lifestyle play a critical role when it comes to the healthy and young-looking appearance of Japanese women. You have probably noticed that most Japanese women are slim, and documentaries show that they live long lives. And, turns out that their health and longevity is attributed to their lifestyle. Here are 10 reasons why Japanese women stay slim and don’t age! Check them out! Green tea is made from high-quality matcha leaves which are dried and milled into a powder. Then, the fine powder is mixed with hot water and enjoyed as part of the tea ceremony in Japan. Green tea is one of the healthiest in the world, due to its high antioxidant content which helps the body fight free radicals and slow down the aging process. Regular consumption of this beverage is shown to help promote weight loss and reduce the risk of cancer and heart disease. Fermented foods like kefir, miso, kombucha, kimchi, sauerkraut, and tempeh are part of the Japanese lifestyle. They are made during a process called fermentation, which allows the food to keep its natural nutrients and creates B vitamins, omega-3 fats, and various strains of probiotics. Fermented foods are great for the promotion of beneficial intestinal bacteria, easing the process of digesting and promoting weight loss. Additionally, they help remove detrimental toxins and heavy metals from the cell tissues. Japanese prefer seafood to red meat, as they associated read meat to health problems like obesity, high cholesterol levels, and inflammatory disease. Seafood with noodles or rice is the most common meal in Japan. As the country itself is surrounded by sea, fish like mackerel, salmon, and tuna are available all year round. Fish is packed with omega-3 fats and essential nutrients, which are beneficial for the overall health. For instance, omega-3 fats melt fat, reduce inflammation in the body, promote skin health, and help treat skin problems like psoriasis, atopic dermatitis, non-melanoma skin cancer, and melanoma. Serving small portions is a part of Japanese culture. And, this is what helps them eat less and maintain healthy weight. When you serve food in smaller plates, the portions look larger. And, this helps reduce the calorie intake. king is extremely important in Japan, for both men and women. It improves your body and you’ll stay slim and fit. Walking supports weight loss, boosts mood and energy levels, relieves stress, and improves cardiovascular health. Japanese mostly commute to work using subways and train, so they have to walk to their station or back. Children also walk to school and their parents rarely drive them. Martial arts are quite popular in Japan, and both men and women practice them. These activities include aikido, karate, and judo, and are proven to help improve both fitness level and overall health. Specifically, most of the martial arts people use improve muscle flexibility, improve cardiovascular health and endurance, build muscle, slow down aging, and promote weight loss. Given that Japan is a volcanically active countries, there are countless hot spring baths on the islands. People use them because of their healing properties which are said to improve sleep, reduce stress, improve overall health, and prolong their lives! What makes these baths so beneficial is their temperature, combined with the mineral content (niacin, magnesium, selenium, and calcium). Not only do they use healthy ingredients, Japanese also use healthy cooking methods. The methods they use are based on the principle the less oil the better, and they include grilled, raw, or simmered food. They rarely use fried foods, with an exception of tempura that is added to other dishes. By doing so, they balance the meal. Japanese rarely eat sweets, which is why they are slim. It is important to note that the sweets they consume are free of unhealthy ingredient like caramel, chocolate, or refined flours. What they use instead for their desserts includes sweet potatoes, buckwheat flour, and fresh fruits. Last but not least, eating on the go is a big no-no! Japanese consider their meals to be sacred times; times during which you energy the body. They don’t do anything else while they are eating. Unlike most people, they don’t talk, work, or watch TV. They eat slowly, giving the stomach time to process the food. Slower eating is better for the body as the stomach has enough time to tell the brain you are full. On the other hand, if you eat fast, the chances of overeating increase.